Did you ever know someone who always seemed to have their head in the clouds? They seem to see the world from different angles and make observations that may not seem congruent with others around them. They may be seen as contrarians, but they’re good with it. They don’t seem to fit a category because once you try to put them in one box, they’re off somewhere else. I’m one of those dreamers. It’s a bit unnerving to even talk about it because I want you to know that this post is much more about ideas and an approach than it is about me as a person. I’ve never felt comfortable when someone self-proclaims something because it brings about skepticism and doubt. We have a “prove it” lens we use, and we honestly wait for people to fail versus expect them to succeed. 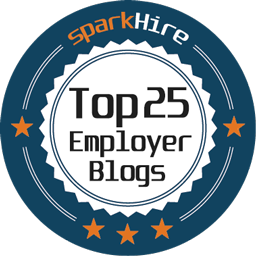 For several years, I’ve been fortunate to share my thoughts on this blog, as a guest writer for other HR related blogs and as a speaker. It’s something I truly enjoy and look forward to. It’s nice to have a platform to take the ideas that keep rattling around internally, and get them out to share with others and see if they stick and have merit. There’s a risk in doing this because you need to be willing to be vulnerable and know that there may be those who absolutely disagree with you. That’s cool because dialogue and conversations should be welcome instead of forcing someone to just take your side. This is very kind and humbling. When I first heard people say this to me, I was intrigued with a mixture of cautious anxiety. All of the voices that pull at you questioning whether you should move ahead or not on a venture like this are powerful and loud. I’ve never been someone who feels comfortable in the status quo or staying stuck in a pattern, but the urge to just continue what I’ve been doing was attractive. Each week I go to a local haunt called JTaps which is close to where I work. It’s great because there are not many people there and you can get away from the buzz and pace of the world and the workplace to think. I opened a journal and started writing down themes, ideas and thoughts. One week I took my laptop, opened a Word document, looked at my journal, ordered a Gyro, chips and a Diet Coke and started typing on a blank page. After awhile, words became paragraphs and paragraphs became chapters. I had the beginnings of a book and decided to share it with a few close friends to see what they thought. They liked what they saw and so I reached out to see if someone would consider publishing it. As most of you know, I’ve been active with SHRM for almost 20 years as a volunteer leader. I mentioned that I was trying to create a book about HR and they asked to see it and then put together a proposal for them to consider. 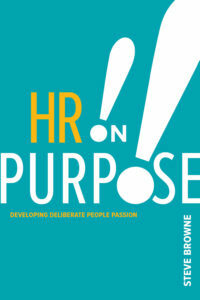 They chose to publish the book and this week at the SHRM Annual Conference in New Orleans, my book – HR on Purpose !! – launches. It’s so surreal and I’m so geeked that I can hardly contain myself !! The book looks at HR from a positive viewpoint and gives you examples, real-world stories from the trenches and encourages people to own and thrive in human resources. The book captures the belief that I have, and live, that people have value and that HR is the best profession that anyone could ever be in. It shows how you can enjoy HR . . . on purpose !! I’ve shared before that I’m a music freak. I have some playing now even as I type this. This week, I get to live out one of the songs from my fave group, The Beatles, because now I’m a paperback writer !! I’d be geeked if you took the time to check out my book, and I hope you enjoy it and enjoy HR even more !! Hi Steve, We haven’t crossed paths in awhile, but I’ll be looking for your book. I’m sorry to be missing SHRM17. Have a great time! Congratulations Steve – ole buddy ! I guess I knew shortly after we met many moons ago that you would leave a paper trail of your HR Facilitator legacy. I really look forward to your read here on the beaches of sunny South Carolina. I ordered your book today from Amazon! Can’t wait to read it! Congratulations Steve!! If it is anything like HR Roundtable it will be fabulous! I am looking forward to getting a copy. Congrats Steve! I am making this my required Summer reading! Congrats Steve! You are following a path that many in HR have contemplated, but few have been brace or capable enough to pull off. Best wishes to you and your book launch. I’ll definitely be grabbing a copy. Congratulations Steve – what a huge accomplishment. I can’t wait to read it! Congratulations, Steve, and thank you for your HR passion! Previous Previous post: IRL !! Next Next post: Be the Change ! !